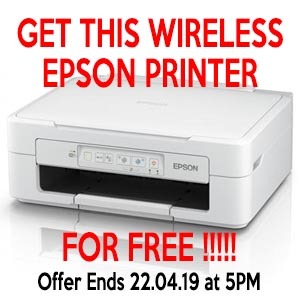 Buy 4x29XL Multipacks (16 cartridges) for £59.96 & get this printer for FREE!! Using compatible ink cartridges, in your Brother, Epson or Canon printer will produce the same results as originals inks. However, first time users of compatible inks may experience a few problems other than standard error messages such as low ink. These can easily be overcome and you can then reap the benefits of cheaper printing. 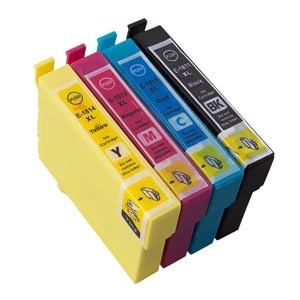 This is the most common mistake and if the user sees an error message or the printer rejects the cartridges as incompatible or simply refuses to work, it is a natural assumption that the compatible ink cartridges are faulty. Quite simply the chips on the compatible inks are not the same as original chips. They can cause conflict with each other when there is a compatible ink cartridge inserted alongside an original ink cartridge. To rectify this take all the cartridges out of the printer and turn it off, leave a few seconds and turn it back on. Then refit the compatible inks with no originals in the printer, this should solve the problem. Buy your ink cartridges with confidence and get great value deals on the highest quality cheap ink cartridges and toner cartridges. Use our cartridge finder above to locate your printer ink and toner quickly and easily. 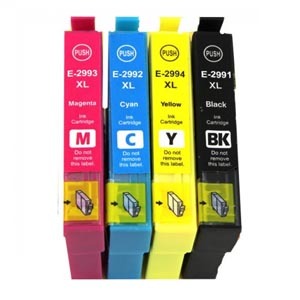 Alternatively you can call us on 01352 735100 to talk to one of our printer supplies experts who will help you find the cheapest and best cartridge option for your printer. "Thanks for recent order. You must have sent it very promptly. It arrived today. Keep up the good service!" "Brilliant service. Great price, fast delivery and quality product. Will gladly deal with again"
"Rare to find a good company that offer quality products at a reasonable price"